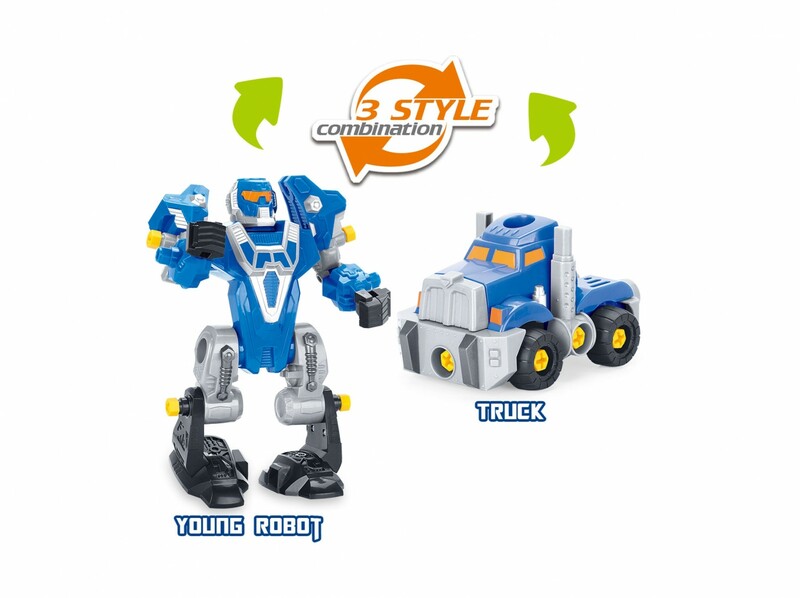 Master Box Dimension : 22" X 15" X 22"
This is not your average toy truck and robot playset. 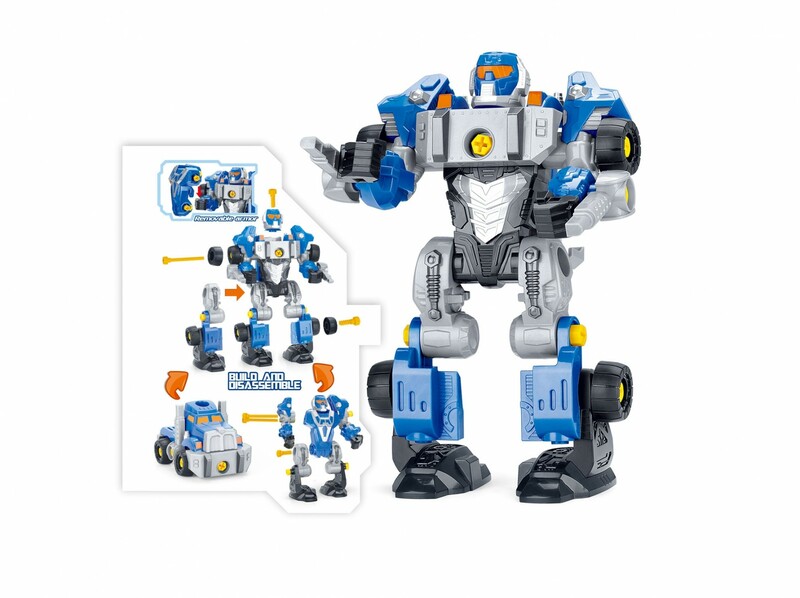 Watch as your child use their engineering skills and creativity to turn a truck and a mini robot into a megabot! 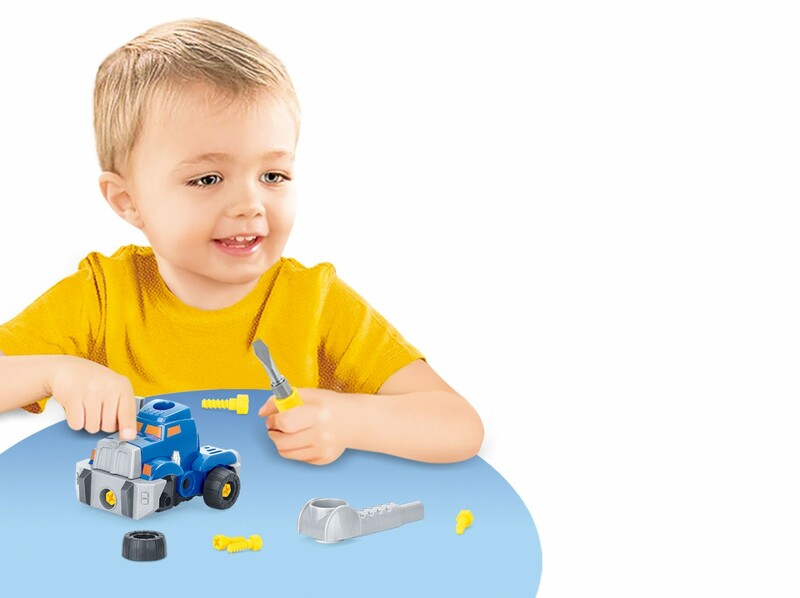 Use the tools to take apart parts of the truck and mini robot to assemble and build your own mega robot.